Two members of the AOB staff, Dr. Milan Bogosavljević and Dr. Oliver Vince participated recently in the work of the meeting held in Dornburg, near Jena, Germany. Their main contribution at this meeting was a poster presentation entitled: "The Milanković Telescope Project: A Robotic Observatory in Serbia". 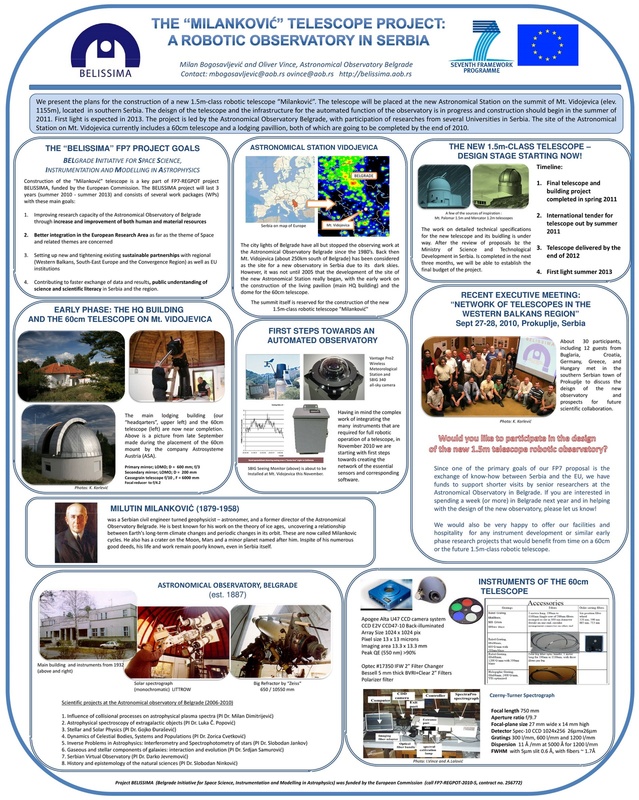 Their poster presented the current status of our most recent effort towards the design and construction of the “Milanković” Telescope, a 1.5-meter class telescope to be constructed at Astronomical Station Vidojevica, near Prokuplje, Serbia. 4) To identify a broader range of research topics where 1.5m-class telescopes can provide a substantial contribution. 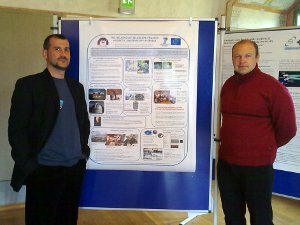 From left to right: Dr. Milan Bogosavljević and Dr. Oliver Vince in front of their poster at the meeting in Dornburg castle.